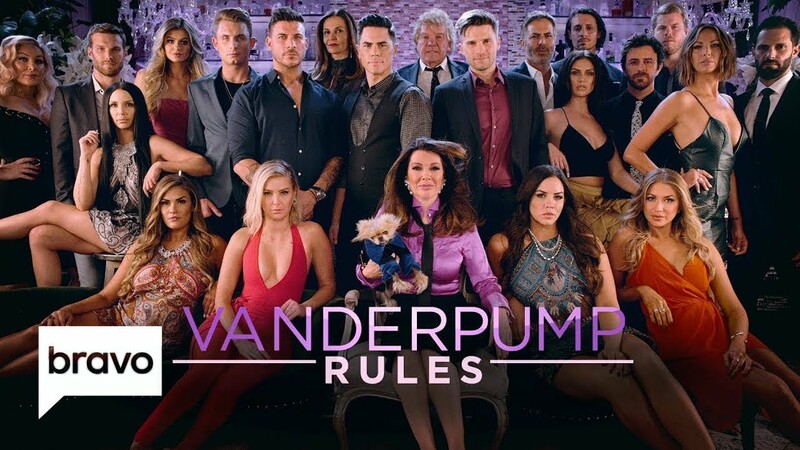 iRealHousewives | The 411 On American + International Real Housewives: Watch The ‘Vanderpump Rules’ Season 7 Opening Intro Here! The seventh season of Vanderpump Rules premieres less than a week away. Along with a bigger cast comes a brand new opening credits sequence which features Lisa Vanderpump and her trouble-making SURvers, which includes Jax Taylor, Brittany Cartwright, Tom Schwartz, Katie Maloney, Stassi Schroeder, Scheana Shay, Kristen Doute, Lala Kent, Ariana Madix, Tom Sandoval and James Kennedy. Check it out below! In the final group shoot you can also see LVP's husband and son, Ken and Max, SUR manager Peter, Kristen's boyfriend, Carter, Stassi's boyfriend Beau, James girlfriend Raquel, SUR hostess Billie Lee and last year's new SURver Adam Spott.